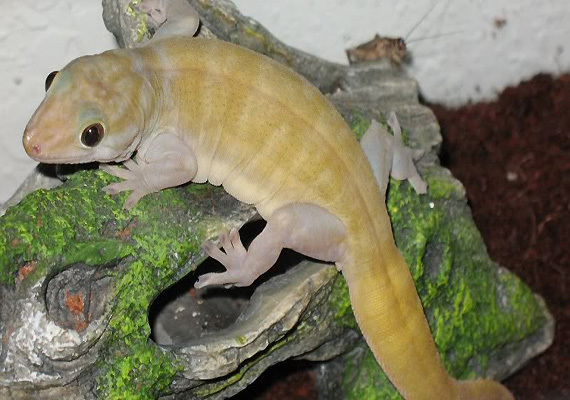 Guwahati, Apr 15: Guwahati police arrested two people and recovered a Golden Gecko lizard from them, police said Sunday. Geckos are an endangered species, and under the Wildlife (Protection) Act 1972, trading or killing them is a punishable crime. "We received a tip-off that some people were trading in wildlife parts in Guwahati. We sent a team to search a hotel in Paltan Bazar area of the city today. A Golden Gecko was recovered from their possession," Senior Superintendent of Police A.P. Tiwary told IANS. The lizard was alive and was handed over to authorities of the Assam State Zoo at Guwahati, Tiwary said. He said the two arrested are as Thingom C. Singh and Thangliansum Paite from Manipur. "They came from Manipur to Guwahati to sell the endangered species," Tiwary said the SSP. Guwahati police had recovered another Golden Gecko from Dispur area in the city from another trader a few months ago. Some communities in countries like China, Malaysia, Indonesia, Japan believe that the Geckos can heal deadly diseases like cancer and HIV. Wildlife experts, however, say that there is no truth in that belief and that Golden Geckos are needed to maintain the ecosystem.